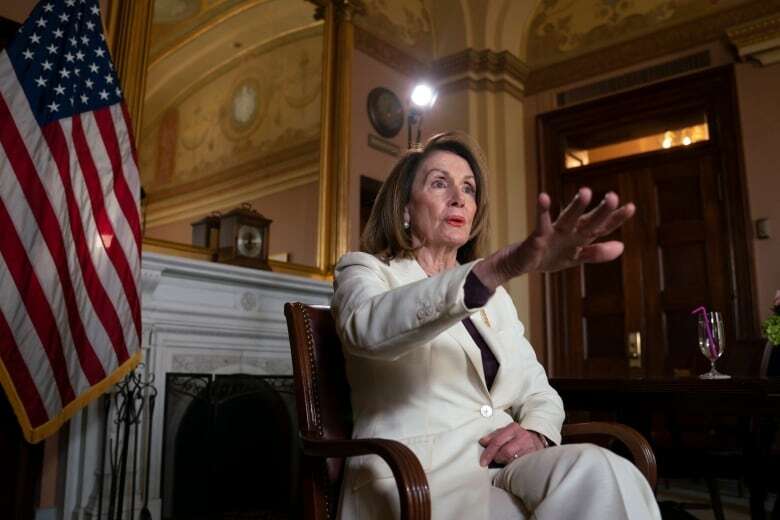 U.S. House Speaker Nancy Pelosi announces she has taken steps to ensure the safety of Rep. Ilhan Omar following President Donald Trump's retweet of a video that purports to show the Minnesota Democrat being dismissive of the Sept. 11 attacks. The California Democrat also called on Trump to take down the video. Soon after her public request, the video disappeared as a pinned tweet at the top of Trump's Twitter feed, but it was not deleted. Omar said she's faced increased death threats since Trump retweeted the video. "Violent crimes and other acts of hate by right-wing extremists and white nationalists are on the rise in this country and around the world," she said. "We can no longer ignore that they are being encouraged by the occupant of the highest office in the land." 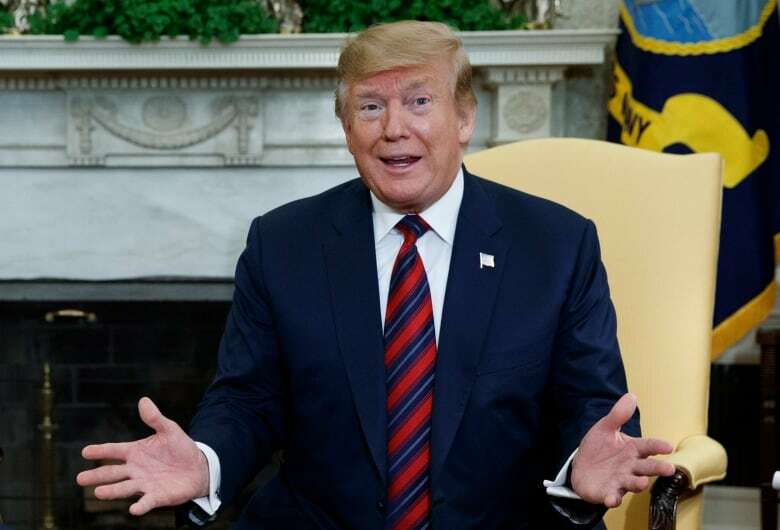 On Monday, however, Trump singled out both Omar and Pelosi on Twitter, accusing the representative of controlling the speaker. Pelosi, who was travelling in London, issued a statement saying she had spoken with congressional authorities after Trump's tweet "to ensure that Capitol Police are conducting a security assessment to safeguard Congresswoman Omar, her family and her staff." "They will continue to monitor and address the threats she faces," the speaker said. She called on Trump to discourage such behaviour. The video in Trump's initial tweet included a snippet from a recent speech Omar gave to the Council on American-Islamic Relations, in which she described the 2001 terrorist attack on the World Trade Center as "some people did something," along with news footage of the hijacked airplanes hitting the Twin Towers. Trump captioned his tweet with: "WE WILL NEVER FORGET!" Critics accuse Omar of offering a flippant description of the assailants behind the attack that killed nearly 3,000 people. She later sought to defend herself by tweeting a quote from former U.S. President George W. Bush. Days after 9/11, the Republican president referred to the attackers as "people." Bush had said, "The people — the people who knocked those buildings down will hear all of us soon." "Was Bush downplaying the terrorist attack?" Omar asked. Neither Trump's tweet nor the video included Omar's full quote nor the context of her comments, which were about Muslims feeling that their civil liberties had eroded after the attacks. The tweet continued to lead Trump's Twitter feed on Sunday, with more than nine million views. White House press secretary Sarah Sanders questioned why Democrats weren't following Trump's example and calling out Omar, too. 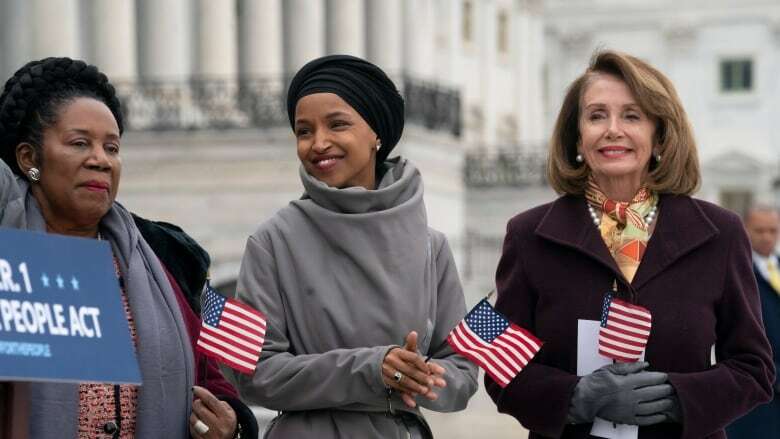 Democrats who criticized the president over the tweet defended Omar. Some also noted their past disagreements with her. "Here's the truth. For far too long we have lived with the discomfort of being a second-class citizen and, frankly, I'm tired of it, and every single Muslim in this country should be tired of it. Cair (Council on American-Islamic Relations) was founded after 9/11 because they recognized that some people did something and that all of us were starting to lose access to our civil liberties." Omar repeatedly has pushed fellow Democrats into uncomfortable territory with criticism of Israel and the strength of the Jewish state's influence in Washington. She apologized for suggesting that lawmakers support Israel for pay and said she isn't criticizing Jews. But she refused to take back a tweet in which she suggested American supporters of Israel "pledge allegiance" to a foreign country.